This vital ministry has continued to grow as a resource for the community, as an employment opportunity, and as a vehicle through which a large coalition of community organizations can collaborate in service. 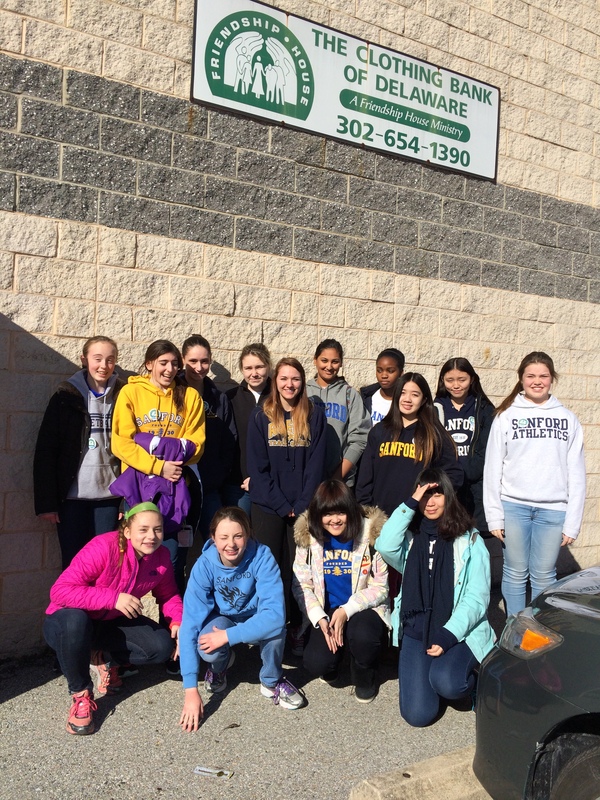 A core ministry of Friendship House, the Clothing Bank of Delaware has three primary missions. 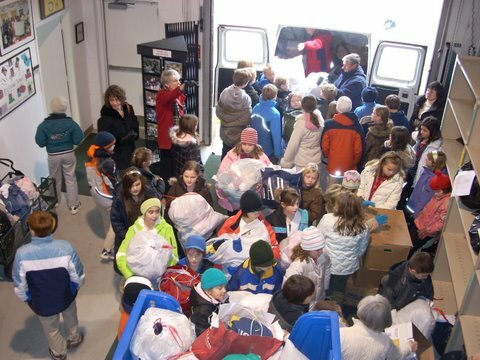 First, it serves as a clearing house for the collection and distribution of donated clothing and a delivery service to those community agencies in direct contact with individuals and families in need. Second, it provides entry level employment and training to women re-entering the work force. Third, it creates volunteer opportunities for churches, businesses and community organizations. Jobs for women with limited job skills and a scattered work history are not in great demand. While Welfare Reform offers a solid, one shot opportunity for job training and placement, the bottom line is that there is an ever-growing number of poor women in New Castle County who no longer qualify for such public-sponsored programs. While faith-based ministries like Friendship House are committed to filling the gap with privately-funded recovery programs, there is a dire need for employment partners who will provide such program participants with entry level jobs. 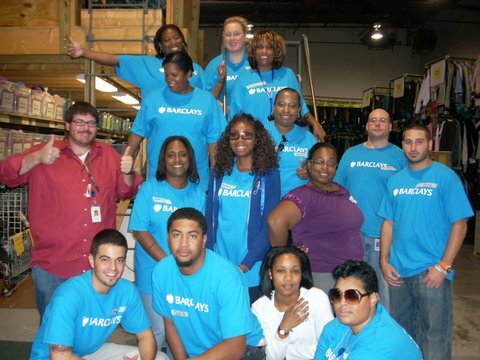 The Clothing Bank is able to provide advanced job training in customer service, warehouse management and marketing. Through an empowering 15 week training program, the participating women will work to rebuild their reputations, renew their spirit, and reinvent themselves by discovering their potential. The women learn good work habits, fine tune basic job skills and receive job search support through resume development, polishing interviewing skills and application assistance. Such projects give volunteers the opportunity to try out the waters without making a life-time commitment. They understand that most folks would like a chance to wade around in the shallow end of the human-service pool before diving into the deep end. As with our homeless clients, Friendship House believes in accepting our volunteers where they are and not demanding of them more than they are ready to do. 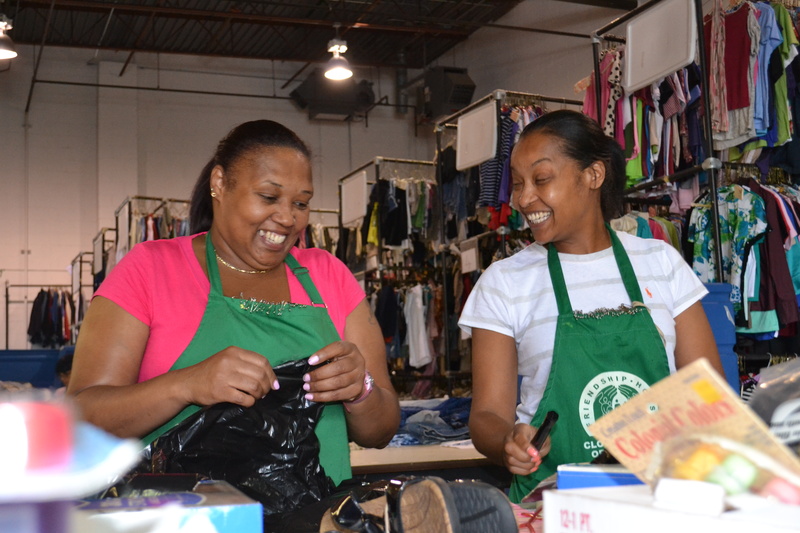 The Clothing Bank offers multiple entry level volunteer projects in the form of collection drives at work or church, sorting clothes at the warehouse and delivery runs to various local distribution sites. If you would like to volunteer with our Clothing Bank, please email us or visit our Volunteer Page for more information. The traditional means of freely distributing clothing to the poor in this country has been the church clothing closet. This ministry faces logistical problems that makes many churches reluctant to enter the field. One of which is that people tend to donate clothing out of season, i.e. their summer clothes at the beginning of winter and their winter clothing at the beginning of summer. Most clothing closets do not have adequate space to store such seasonal clothing until it is needed. 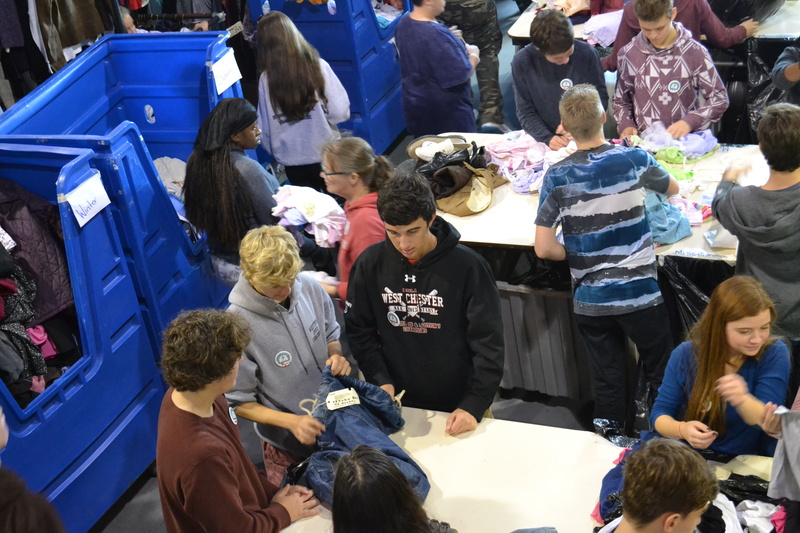 A central warehouse like the Clothing Bank has the space to store out-of-season, domestic quality clothing until it is needed. Monday – Thursday from 7:30 a.m. – 2:30 p.m. Located in the Gateway Industrial Center on the corner of Jessup and Vandever Ave.